In 1991, Marvel Comics launched a new "adjectiveless" X-Men title; the original 1963 X-Men series had been known as Uncanny X-Men for several years. 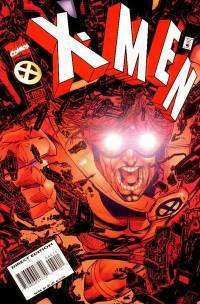 That new X-Men issue, with its five covers, released into the superheated speculator market of the early 1990s and became the best-selling comic book of all time, with more than 8 million copies sold — or, at least, bought by retailers. (As such, it's the least scarce issue of all time, to the dismay of any collectors ck then.) That second X-Men series ran parallel to Uncanny for years, morphing later into New X-Men. July 2010 saw the release of another title known simply as X-Men, again with quite a few variant covers — and while it didn't do anything like those numbers of 19 yea rs ago, it did manage to take the top slot in comics shops for the month according to data released by Diamond Comic Distributors. You can find the July 2010 charts with market shares here. The year-to-year comparatives were pretty steep this time, as last July featured two of the three best-selling comics of the year: Captain America Reborn #1 and Blackest Night #1. It was also a month with five shipping weeks, versus four this July. The difference was enough to turn the dollar sales for the Top 300 comics back negative for the year to date. On the other hand, retailer orders in advance of the Scott Pilgrim movie helped to bring Diamond’s Top 300 Trade Paperbacks to their highest level since April 2009, the month after Watchmen released in theaters (and the first full month after Diamond’s warehouse move). The average comic book in Diamond’s Top 300 cost $3.59. The average Top 300 comic book that retailers ordered from Diamond cost $3.58, a new record. The median comic book price in Diamond’s Top 300 was $3.99, and the most common cover price on Diamond’s list returned to $3.99 after a month back at $2.99. July 2009's top seller was, as mentioned above, Captain America Reborn #1— although by the time the year was out, the #2 comic book of the month, Blackest Night #1, would ultimately sell more copies. Cap sold 193,000 copies in July to Blackest Night's 177,000, but by the end of the year, Blackest Night #1 outsold Cap, 205,500 copies to 199,900. Check out the detailed analysis of the month's sales here — and sales chart here. July 2005's top-seller was DC's All-Star Batman and Robin #1, with Diamond first-month orders of more than 261,000 copies. 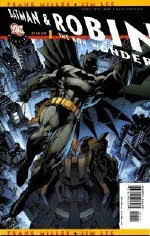 Final orders including reorders brought the summer event issue to 276,000 copies, making it the eighth best-selling comic book of the 2000s. (See the whole list here.) Check out the sales chart for June 2005 here. July 2000's top-seller was Image's Spawn #100, with Diamond preorders of 143,500 copies. It’s of interest that, through July 2010, the Direct Market has ordered almost exactly the same number of comic books that it preordered in the first seven months of 2000. Those comics are selling for 29% more now in dollars due to inflation — and, of course, the real growth in the industry is in the number of trade paperbacks sold, which is dramatically higher than it was a decade ago. Note the July 2010 trade paperback Top 25, which sold more than double the copies (for more than double the money) than the July 2000 Top 25. Check out the sales chart for July 2000 here. July 1995 is the month where things get really complicated. Marvel stopped distributing its comics through all other distributors but Heroes World Distribution this month, and Heroes World's sales are not publicly known before September 1996. Also starting this month, DC withdrew all its sales from all other distributors except for Diamond — although through a legal settlement, Capital City was allowed to keep selling DC comics through August. So Diamond's Top 300 chart has no Marvels at all; it found Spawn #34 as the top-selling comic book. It's a bizarrely different Top 300 for Diamond, with a lot of independent publishers and titles making the list for the first time: Bru-Hed's Breathtaking Beauties #1 from Mike Pascale's Schism Press placed 283rd. Palliard's Buck Godot #5 closed out the Diamond Top 300. Capital didn't have Marvels either — but for a time, it polled its accounts to see what quantities of Marvels they were selling. Thus, Capital's sales chart this month reflected its actual sales of DC and other publishers — and estimates of where Marvels would rank. Capital's reports put Marvel's X-Men #44 in first place, projecting Spawn in fifth. Its orders for the previous issue were 90,800 copies, and known average annual sales for the title that year were at nearly 333,000 copies. My own survey of retailers, appearing in Comics Retailer #43, corroborates Capital's ranking; X-Men was almost certainly #1. Capital stopped doing a Top 300 for the first time in years, going out only to 220th place. Hard times for distributors, but it was also a tough time to be a retailer. "Using three distributors is a lot of extra paperwork," reported Mark Crane of Lee's Comics in San Mateo, California in my survey. "But it's worth it to ensure that our service to our customers remains consistent, and that we have a diverse selection of product on our racks." The average price of comics in Diamond's Top 300 was $2.62, and the average comic book ordered within Diamond's Top 300 cost $2.57. The most common cost of comics was $2.50. But, again, those figures don't reflect Marvels, which were generally cheaper. 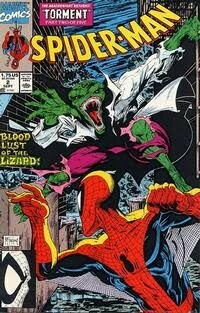 July 1990's top seller at Diamond and Capital City was Todd McFarlane's Spider-Man #2. Capital City sold 168,000 copies; overall direct-market sales were 712,300 copies, with another 117,900 copies sold through the newsstand. Final sales, including subscription copies, were at 843,100 copies, less than half what #1 sold. July 1985's top seller at Capital City was Marvel's Secret Wars II #5. Capital's orders were approximately 59,800 copies, suggesting overall sales in the 300,000-copy range.